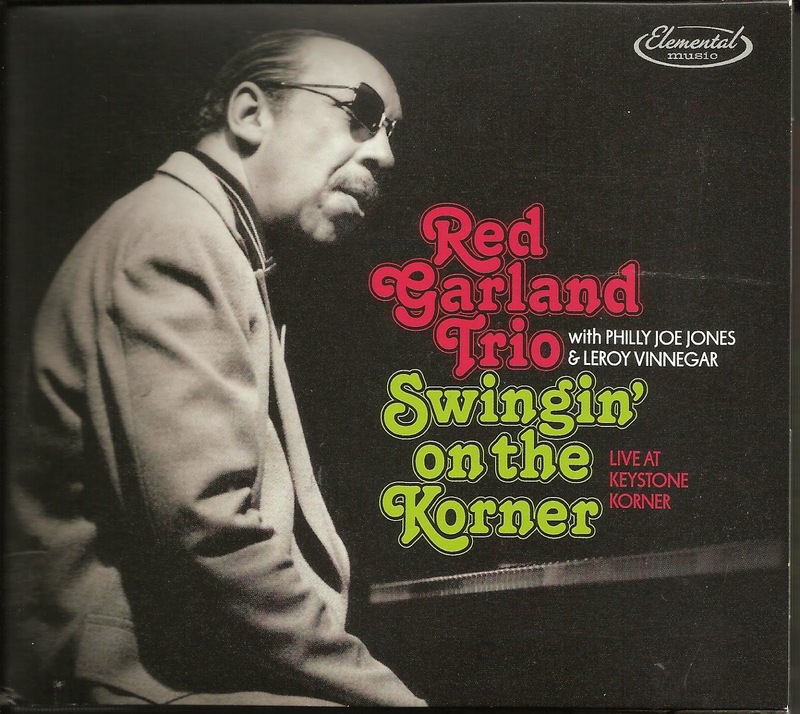 In discovering this double-set of live recordings by pianist Red Garland, it's interesting to parallel the state of his career with that of his former "boss, " Miles Davis. By 1977, the trumpeter had pioneered electric jazz, added funk to it and had retreated from the performance sector. Garland too, had disappeared from the stage for a few years, but when he returned, his approach to the piano sounded virtually the same as it did nearly two decades prior when he anchored the Davis quintet that included John Coltrane. The set list could have come from the late '50s/early '60s period, with his take on "Billly Boy" (borrowed from Ahmad Jamal), "On Green Dolphin Street" and "Dear Old Stockholm," all of which he recorded with Davis. Yet none of the music sounds out of date, either from a 1970s perspective or a 2015 perspective. It has an air of authority to it. This is how these songs should be played if you want to affect listeners. Not only that, since there are no horns sharing the spotlight with Garland, Swingin' at the Korner reveals what an influential pianist he was. He could move from heavy blues to light ballad, all of it containing some serious weight. Garland was occasionally dismissed as a "cocktail pianist" playing little more than background music, but even lighter fare like "It's Impossible" or "On a Clear Day" never sounds mawkish in his block-chord-playing hands. This style still fuels budding pianists to this day. The title refers to San Francisco's Keystone Korner, where these performances were recorded in early December 1977. It reunites Garland with his fellow Davis bandmate Philly Joe Jones, who also plays with plenty of swing and fire. In fact, the drummer gets plenty of solo space, even in tunes like "Autumn Leaves" (taken at a brisk pace after a gentle opening), indicating the rapport and fun that both players we're having onstage. Bassist Leroy Vinegar had never joined forces with but of these guys - and never would again - but his solid walking, always enthralling and never cliched, makes a perfect piece to this puzzle. Being an Elemental release, Swingin' on the Korner comes with a deluxe booklet, not only with appreciations from Keystone Korner owner Todd Barkan and Nat Hentoff, but interviews with Don Schlitten (who worked with Garland at Prestige and later MPS Records), drummer Kenny Washington and Ira Gitler. Pianist Benny Green reminisces too, and an informative 1979 article by Doug Ramsey that appeared in Texas Monthly also offers great insight into the pianist. In addition to being a great listen, albums like this make you want to go back and rediscover Garland's past glories, with a better perspective on them.